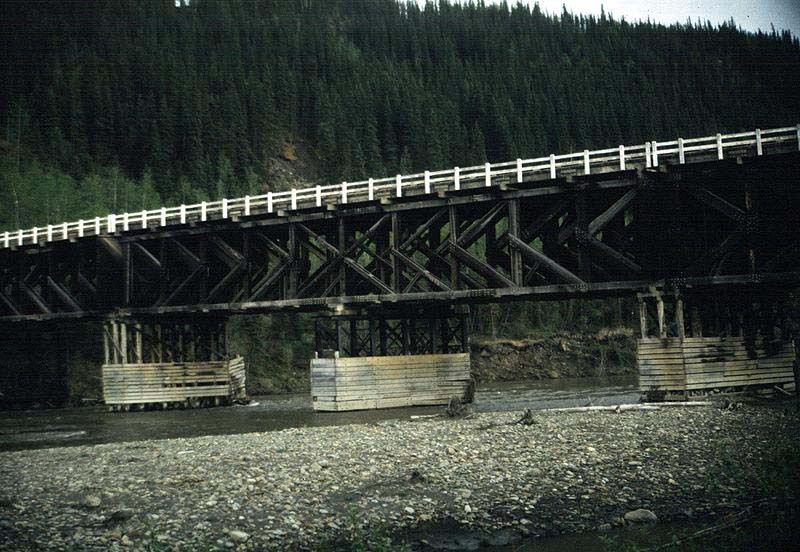 Sikanni Chief River bridge, about 160 miles north of Dawson Creek on the Alaska Highway. This photo was taken in 1992. The bridge has since been destroyed by fire.